I love picture books that rhyme! I find them particularly fun to read and the pace and length of them is generally a good fit for my more "wiggly" students. 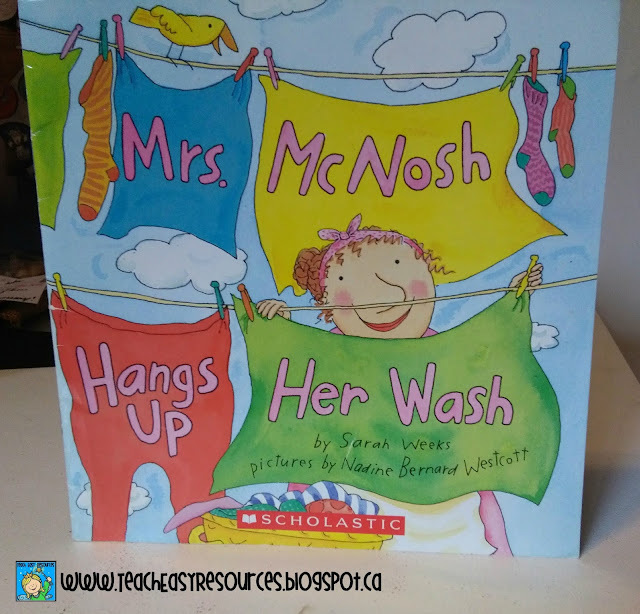 One of my favourite rhyming books for springtime is Mrs. Mc Nosh Hangs Up Her Wash by Sarah Weeks. It's silly and it's humorous and it's always a big hit with the kids. 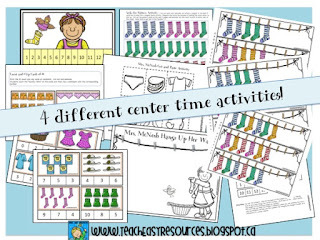 I read the book to the class at circle time first. Then later in the same circle OR in my next circle, I present it using images on a magnet board. 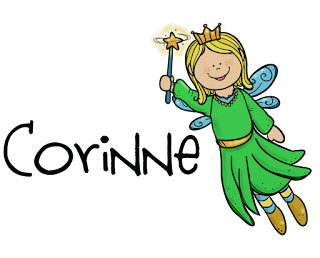 I give each child an image from the story. Then I read the story from a typed page of the text that I keep on my lap. I could also read from the book on my lap, but I find it easier to use my typed out version. Then I don't have to flip any pages. 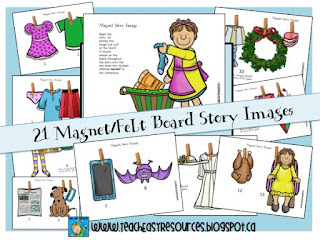 Each child places his image on the magnet board when it comes up in the story. There are 20 images required for the story and I have 20 kids in my class. If my class was larger, I would print multiple copies of certain images so that I would have one for everybody. As you can see in the photo, I just drew two clotheslines on my magnet board with a wipeable marker to set things up. Quick and easy! 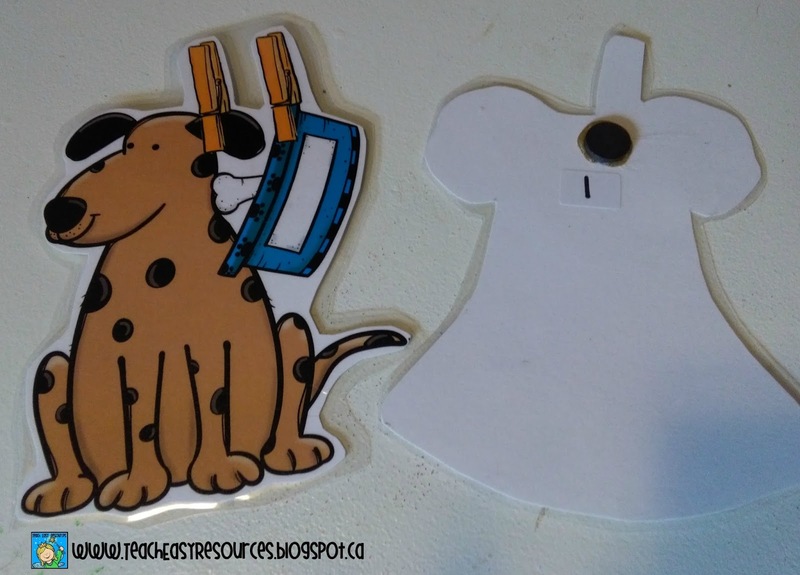 I glued a button magnet to the back of each image and wrote the number corresponding to when the image appears in the story, as well. This time, I used a glue gun to attach the magnets. Even better glue for attaching magnets though is E6000. Especially if the kids are going to be able to play with them! 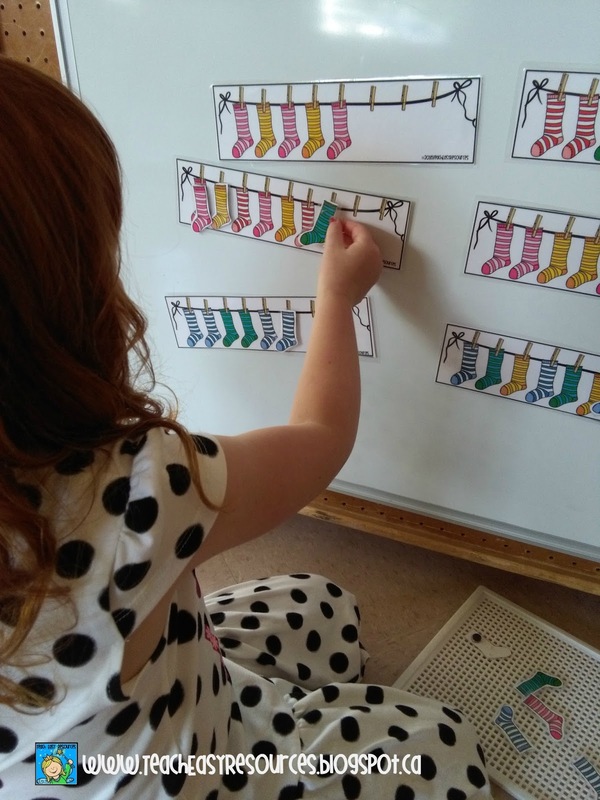 Students can hang the images in order as I did when presenting the story. 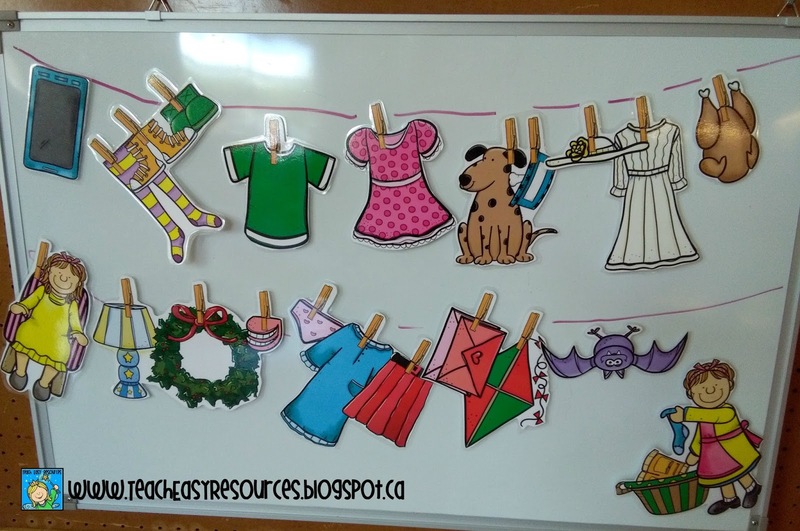 They can do this on a magnet board or on a yarn "clothesline" tied between two chairs. 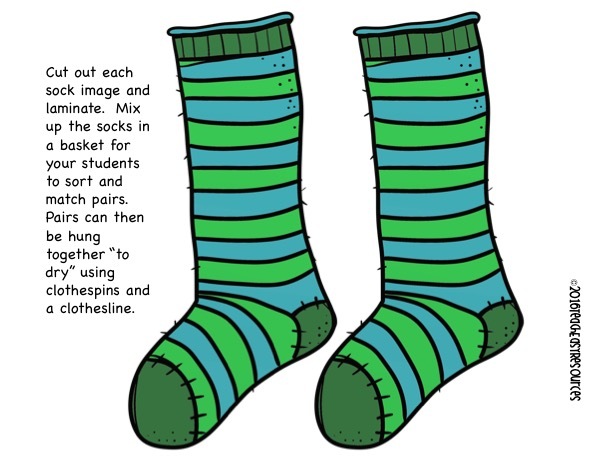 I have a set of 9 different pairs of large striped sock images that students match and hang "to dry." Here's a sample of what one of the pairs looks like. 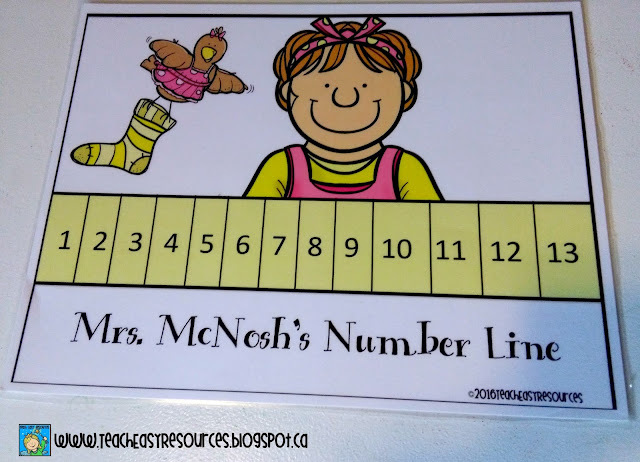 We use these cards for counting practise. 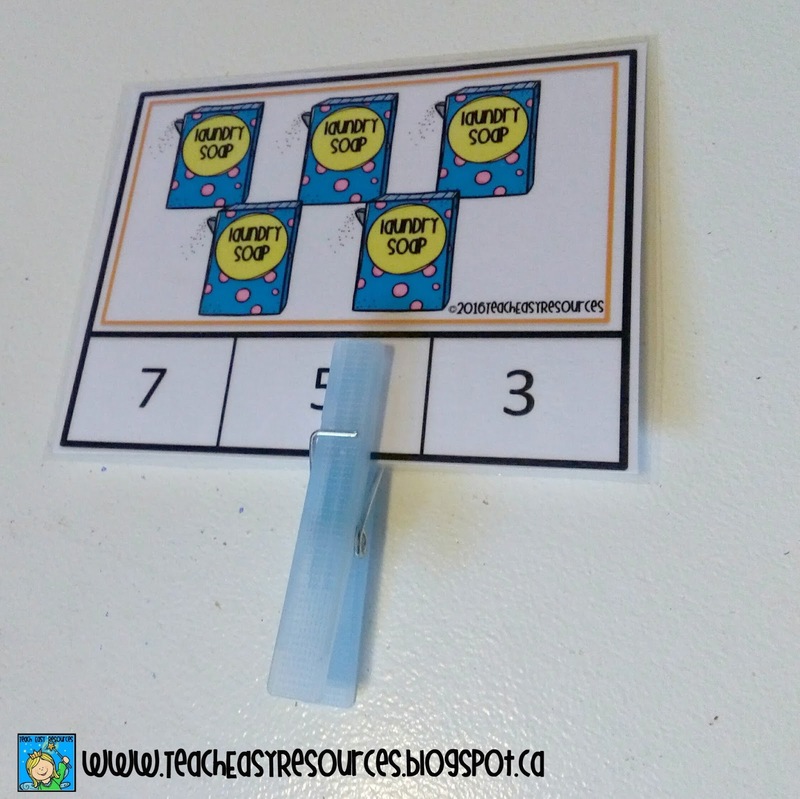 Students attach a clothespin to the number that corresponds with the images. 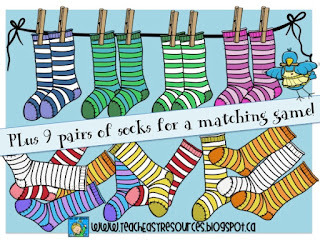 Which sock comes next? 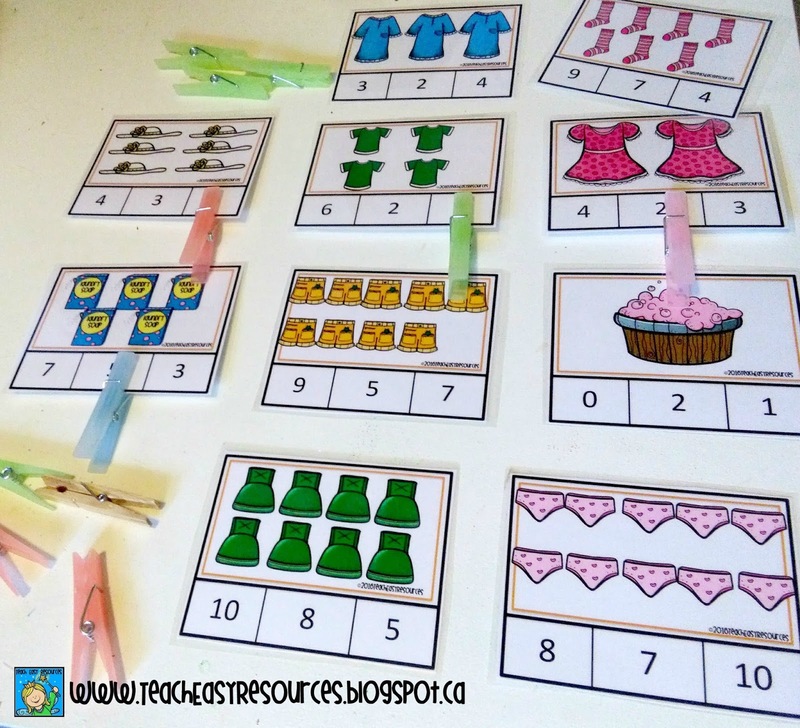 I added magnets to this activity to add to the fun! There's a variety of patterns including ABAB, AABB, and ABC to keep things interesting! 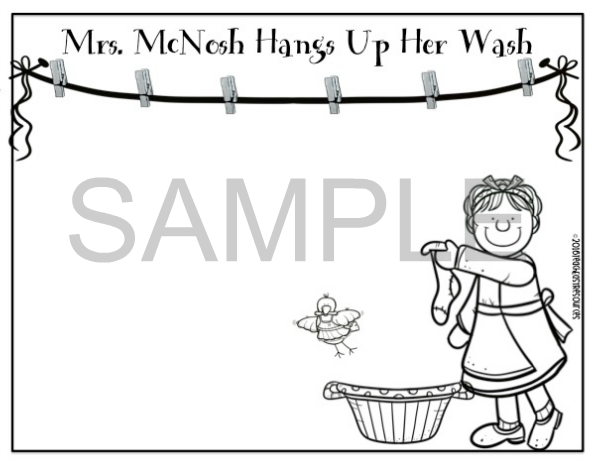 I use these printables for students to colour and cut out pictures of things Mrs. Mc Nosh hung on the clothesline. They are also encouraged to use their imagination and draw their own items on the line! 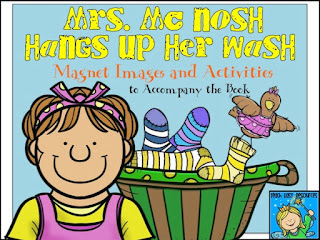 If you'd like a set of these activities to go with the story Mrs. Mc Nosh Hangs Up Her Wash, take a peek at it in my shop HERE! It might become one of your favourite go-to Spring books, as well!